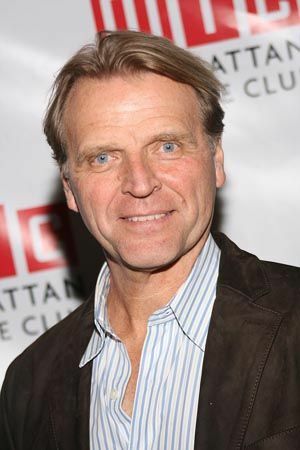 Christine Lavin : JUST ONE ANGEL : DAVID RASCHE #5 "Christmas In L.A."
DAVID RASCHE #5 "Christmas In L.A."
David Rasche "Christmas In L.A."
David Rasche has appeared as an actor on Broadway and off-Broadway for 35 years. He has appeared on TV in shows from Miami Vice to Monk, and played the title role in Sledge Hammer! His film credits include Burn After Reading, In the Loop, Manhattan, Flags of Our Fathers, The Sentinel, and Just Married. In addition to "Christmas in LA" David has written many songs, including "I Love Golf" and "I Wish I Was Married to Your Wife." We were living in Pacific Palisades, CA, and that Christmas I had decided that I was going to do the kids' letters to Santa, which my wife, Heather, had always done in the past, so I sat at the dining room table with Amelia, 11, August 8, and Holden, 5, and I would ask each one what they wanted, and they would write it down, and August said he wanted a Gameboy, which was very popular that Christmas, and a XK2 Fighter Jet or whatever, all very speciific items, and Heather walked in and asked me what I was doing. "The letters to Santa," I said. "No no," she responded. "That's not how you do it. I buy the presents all through the year, and then with the letters, I ask them if they wouldn't like what I already bought them, and they say "yes" and they write it down, and that way they get what they asked for in the letter." "Not to worry," I said, "I have this handled." We finished the letters and sent them to Santa. By the way, we had decided that August would not get a Gameboy because we thought he should be outside or reading a book, instead of playing that damn thing. This was when we were still deluded enough to think that we could resist the tsunami of electronics that followed. Our family does Christmas according to the German tradition, on Christmas Eve, and we had a lovely time and the presents had been opened and everyone was happily occupied with what Santa had brought them, but I could tell something was up with August. "Are you ok?" I asked. "Yes," he said. "Did you like your presents?" "Yes." But I knew I was not getting the whole story, so I pressed him again, and this time the truth came rushing out. "Santa didn't bring me one thing that I asked for in my letter. Not even one thing," August said, deeply disappointed, his lip trembling and close to tears. Then, suddenly, something occurred to him, and his face lit up. 'I know," he said excitedly, "It must have fallen out of Santa's sack, and it's on the roof! I'm going to go look!" "No," I said, "It's too late. We'll look in the morning." The next morning I arose at dawn. Desperate and riddled with guilt, I raced to Adray's, the LA electronics store at the time. I was the first customer when they opened at 8 am, and I quickly abandoned my moral objections to electronics for kids, bought a Gameboy, raced home, wrapped it, and threw it up on the roof. When August woke up, he dashed outside and looked up. "I knew it!" he exclaimed, "I knew it!" and we got a ladder and he climbed up and got the present he had asked Santa for, the present he had been wishing for all year.